There are a lot of things to think about when establishing a new company blog or website, but perhaps one of the most important thing to get right is the design. 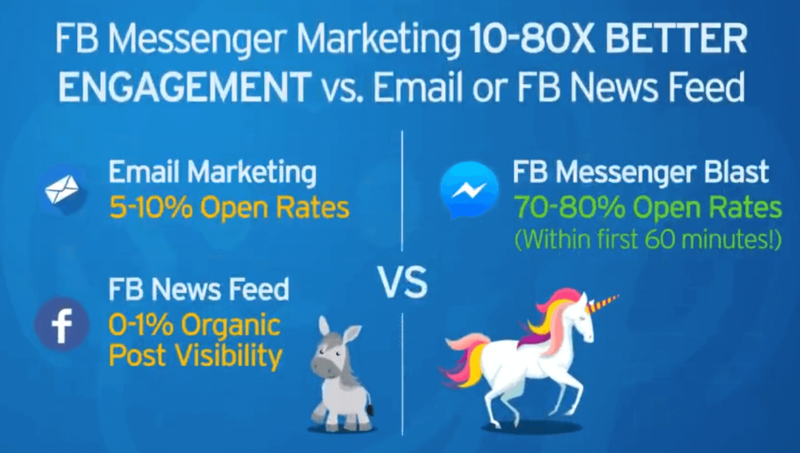 This is one of the biggest factors of whether a visitor stays on your website or leaves without even scrolling down to see what you have to offer. 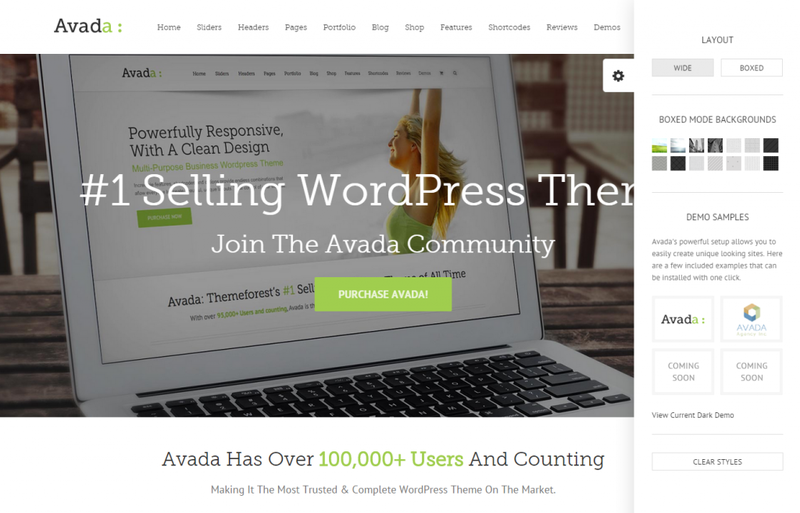 The following Top 50 Best WordPress Themes for Online Businesses and Blogs can help. Research has shown that it actually takes a maximum of 50 milliseconds, or 0.05 seconds for a reader to form an opinion on whether or not they like a website. That gives you less than a second to ensure that your customers stay with you, meaning that your website has to be completely on point and design-savvy. Indeed, building on the above statistic, 75% of customers admit that they rate a company’s credibility based on website design. Is your color scheme up to scratch – is your palette complimentary and business-oriented? 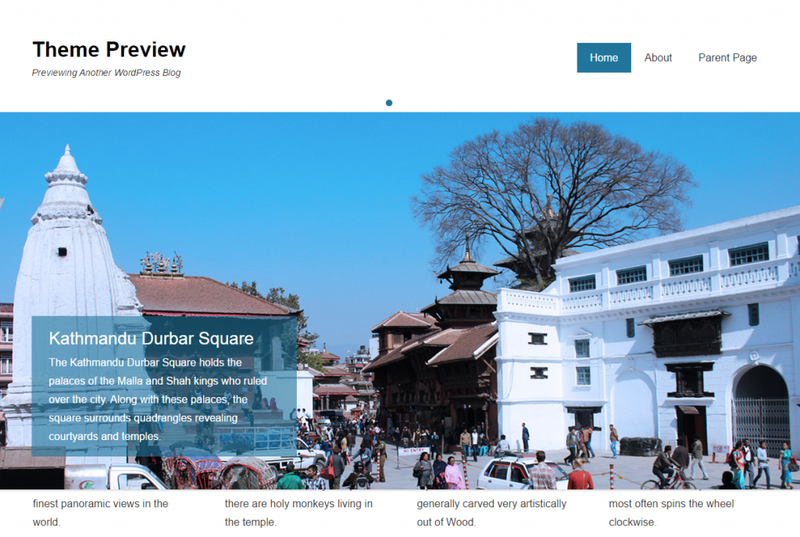 Does your website include good amount of white space? (flat, minimalist designs are popular at the moment). Are your contact details accessible? Have you used awesome images? All of this needs to be taken into account and actioned well, but there are many people out there that would like to help, and that is why there are hundreds of customizable themes available for WordPress to minimize the amount of work you have to do from scratch, and carefully guide you in the right direction. Log in to WordPress and go straight to the Administration screen. Click on the Appearance menu, and then click on Themes. Now you will be able to use the search function to find the theme of your choice from WordPress, you can filter options by certain specifications. If you are sourcing your theme from an external website, such as ThemeForest or Thrive you will need to use the Upload tool, which is located in the top links row of the Administration screen. Ensure that you have saved the theme in a zipped folder, as the Upload tool only works with zipped files. Once you have opened the tool, simply locate the folder on your machine and click Upload. Looking for slick and on-trend? 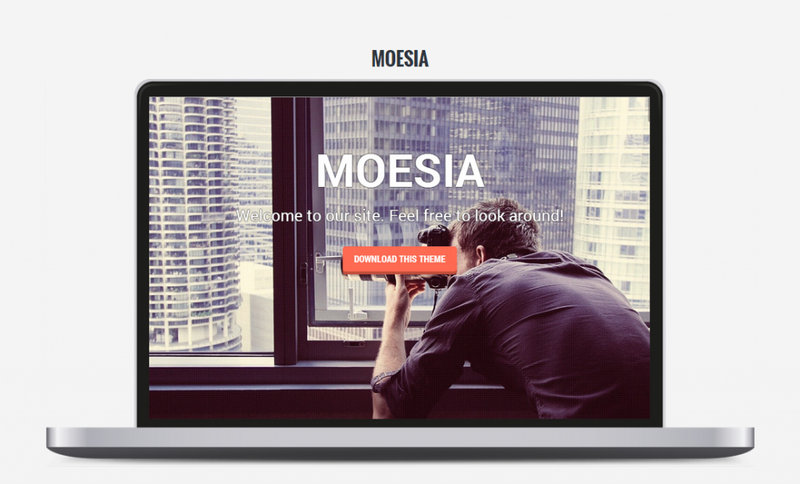 Then look no further than Moesia, a super stylish corporate skin with eleven ‘predefined blocks’ for a unique homepage best-suited to your niche. Each of the blocks comes with its own parallax background image and individual color palette, as well as a selection of Google Fonts, various different layouts and animations. Responsive does what it says on the proverbial tin and offers users a responsive theme with an adaptable grid system layout that looks great on any device. With 9 page templates and 6 template layouts as standard, it is WooCommerce compatible, retina-ready and translated into over 45 languages. Nirvana’s developers would like you to imagine a beautiful landscape not unlike paradise, with white sandy beaches and clear blue waters, or crisp snow-capped mountains and a vividly clear sky, or indeed a serene forest with impossibly tall, elegant pine trees. Whatever your Nirvana, the theme of the same name is the website equivalent with over 200 settings helping you to create a truly individual and unique website across various niches. Vantage is a fantastic theme that caters for a huge variety of purposes and gains its namesake from the strength it achieves from being a plugin king. Seamlessly integrated with PageBuilder for building great responsive layouts, MetaSlider and WooCommerce. Perfect for any corporate vertical, portfolio or eCommerce site. The aptly-named Customizr offers multiple customizations, including 17 color skins, different layout options, various Google fonts and the opportunity to upload your own logo. 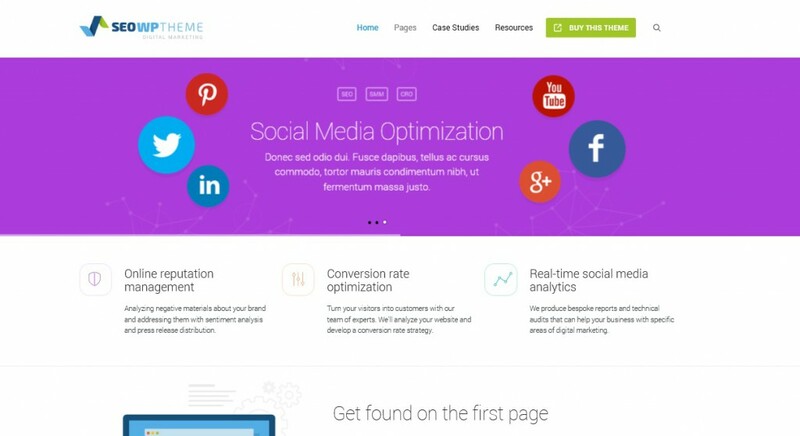 Customizr also makes use of the modern, flat design cues and is fully responsive and retina ready. 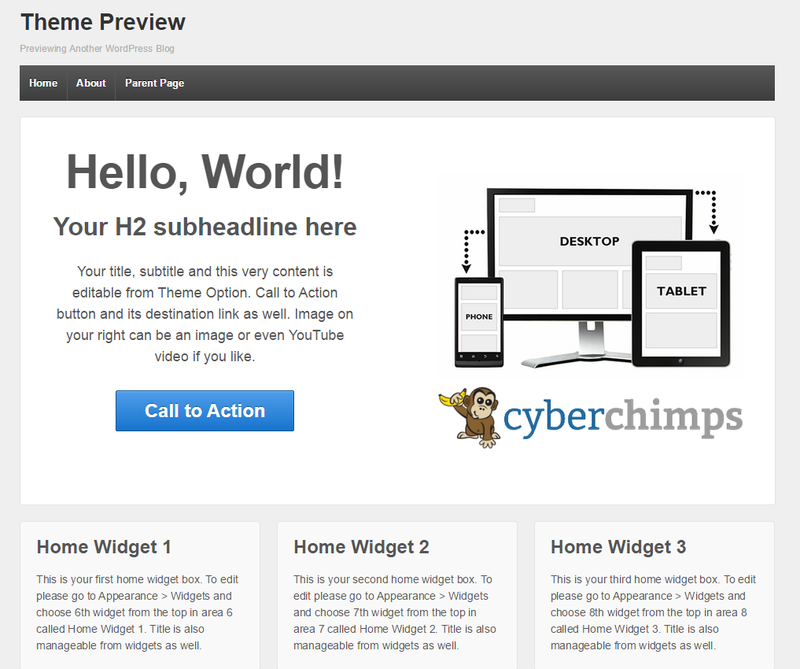 It is perfect for corporate websites, porfolios, blogs or landing pages. 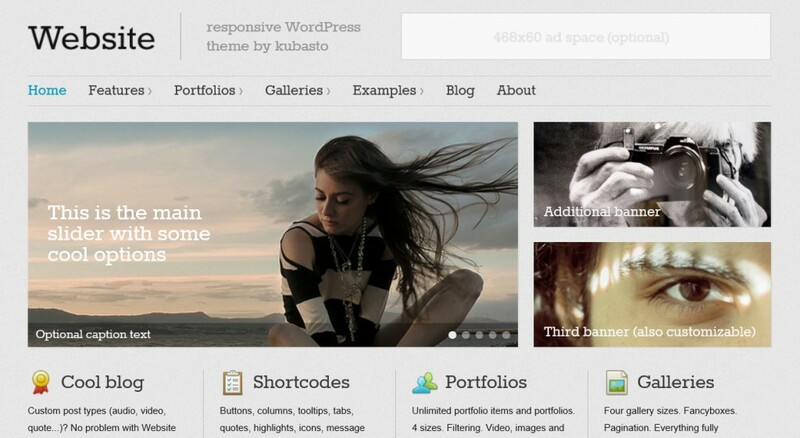 A beautifully elegant, fully responsive theme for WordPress that looks great on any device. It is sleek, clean-lined and professional-looking. Catch Kathmandu is fully customizable and easy to tailor to your specific needs. With a definite image-based focus, CK is perfect for photographers and bloggers alike. 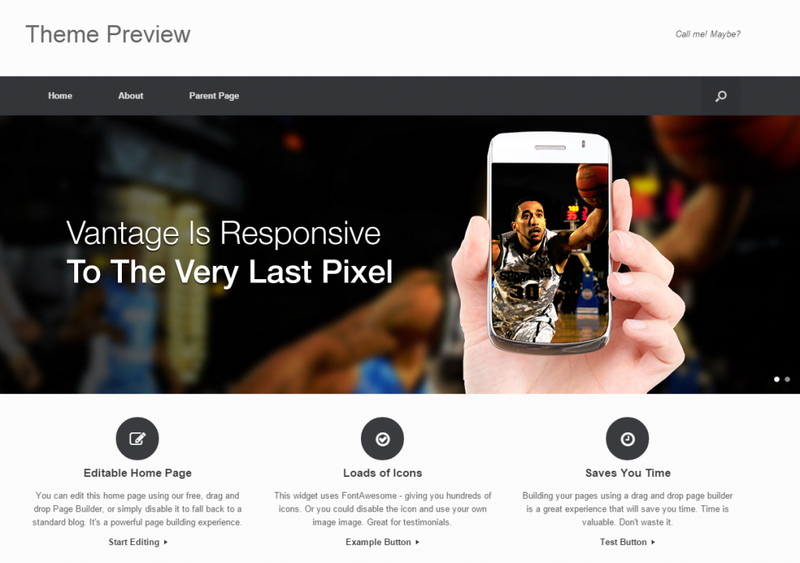 ThemeForest’s most popular new theme and the fastest-selling of this year. 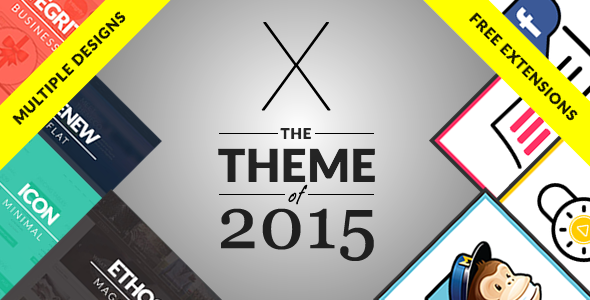 Designed by ThemeCo who have since marketed X as the theme of the year. The unique ‘stacks’ function on this theme allows you to realise any look or layout you desire. Choosing from multiple, unique designs across four different Stacks. There is also the option to add in-built extensions to your design – over a dozen WordPress plugins that are specially tailored for X for seamless integration. These are included for free with your purchase. Bridge offers various on-trend design cues with clean, simple interfaces and striking typography. eCommerce plugins, including WooCommerce shop. 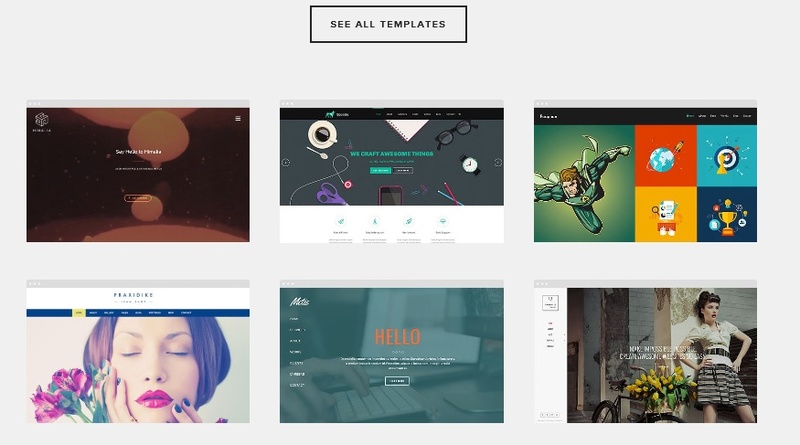 Fusion Builder: a drag and drop page builder with a striking interface. It is easy to build your own custom pages with Fusion Builder. 5 different header designs, including a sticky header option and a widgetized megamenu! Avada gives you control over the header elements. Advanced blog options, with 6 layouts to choose from and including unlimited blog pages, custom categories for each page, premium sliders, rollover effects and more. Flexibility is the name of the game with the Enfold Theme which utilizes a contemporary ‘backend’ to ensure complete ease-of-use, enabling you to build unique layouts just by dragging and dropping content into place – it really is that simple! As its name might suggest, Website caters for every kind of site out there. It offers superior quality and is incredibly simple to use. Offering a fully customizable platform to ensure that your content looks fantastic on any device, even giving you the chance to omit certain content on specific devices. Salient lives up to its name and delivers outstanding designs for your online business portfolio, and there are hundreds of configuration options and dozens of layouts to choose from. With fashion-forward design cues from ThemeNectar and SEO-optimisation included as standard. Own a construction company or work as a skilled tradesperson? 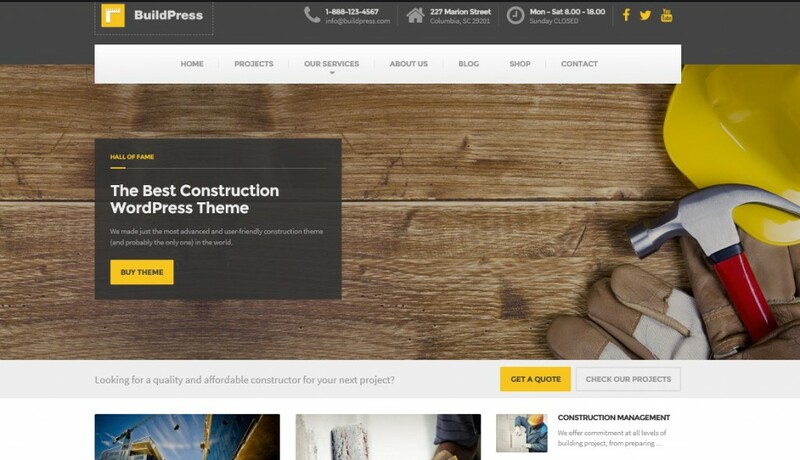 Then look no further than BuildPress – the ‘most advanced and sophisticated version’ of the theme to date. 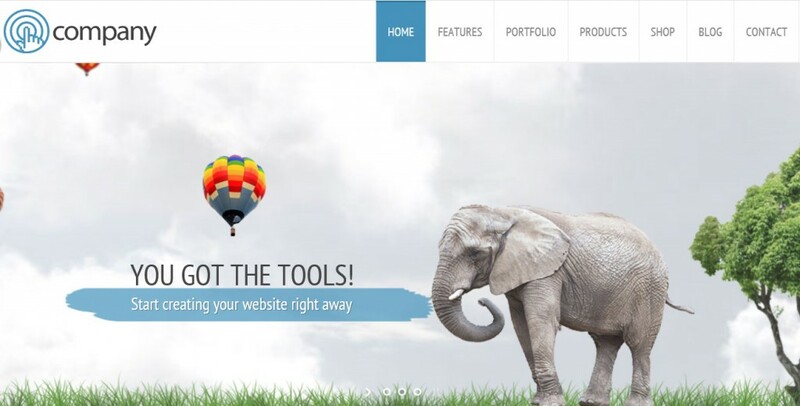 It offers an intuitive user experience, ensuring that your site is simple to setup and run. Available exclusively on ThemeForest. 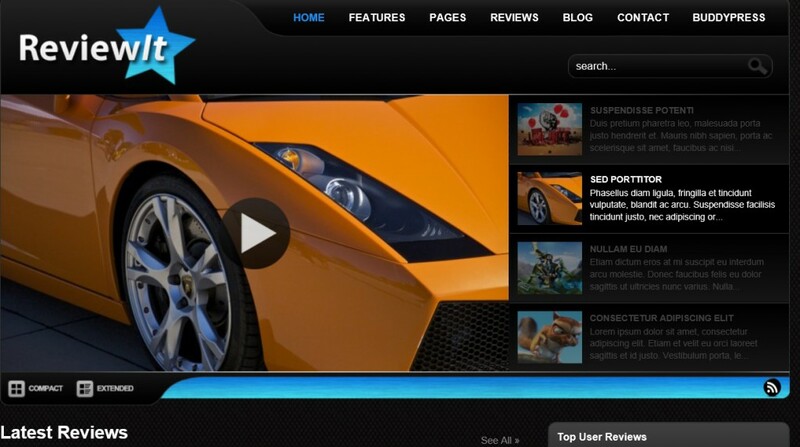 This clever theme has been specially designed with the maximization of SEO in mind. Aimed at those running social media or SEO businesses, it offers unlimited header styles, page design and live customisation, amongst others. Logistically speaking, this is one of your best options for anyone looking for a transport and logistics based website. It is very simple to set up and easy to use. It includes a variety of great features including animated content and CSS3 animations to really make your site stand out! You can basically ‘be’ who you want to be! 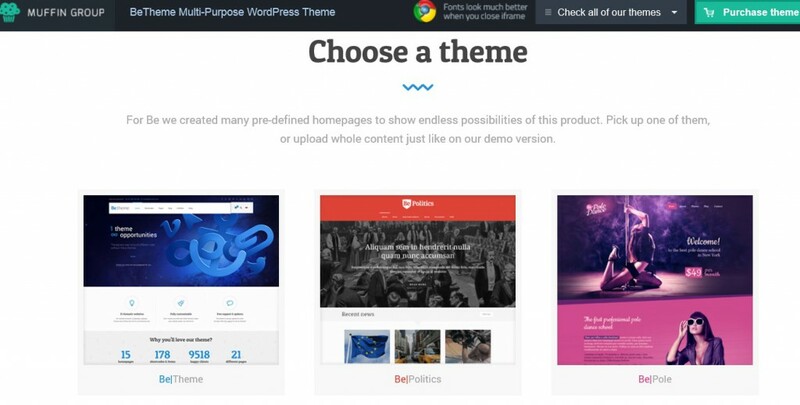 BeTheme is a little bit different – with hundreds of ready-to-click demos available, you could have your website up-and-running in minutes. 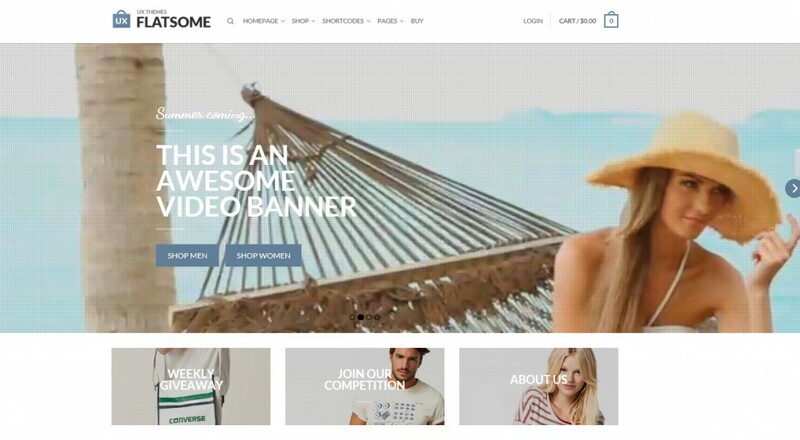 According to BeTheme their versatility knows no bounds and they have created websites for countless industries including charities, universities and hairdressers. Jupiter is modern, fresh and funky. It offers various good-to-go templates, each with their own customizable extensions. You can create virtually anything you want to, with almost unrivalled freedom and control! Completely responsive and optimized for SEO, Vellum has a unique structure that allows you to create multiple designs seamlessly, from one single theme in a one-size-fits-all approach. 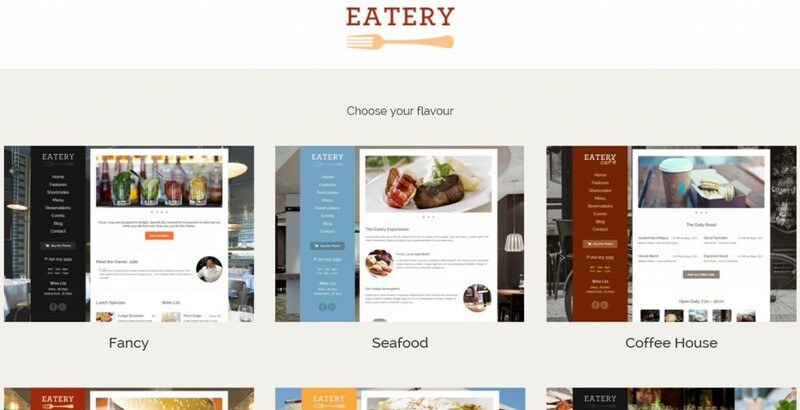 With some very cool design features, Eatery offers you the chance to showcase your restaurant in a professional, modern and unique way. It includes useful tools such as menu pages and events. Sounding like a gorgeous new summer dish or sumptuous cocktail, LemonChili offers a responsive WordPress theme, aimed at the restaurant industry. 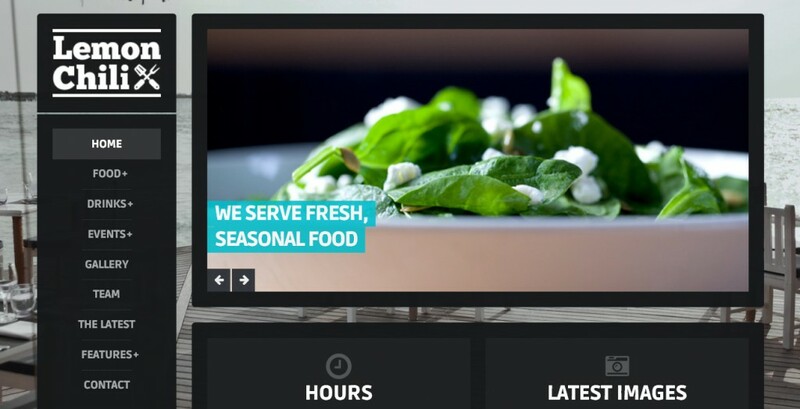 With special tools such as food and drink menu optimization, events pages and team profiles are a big plus. 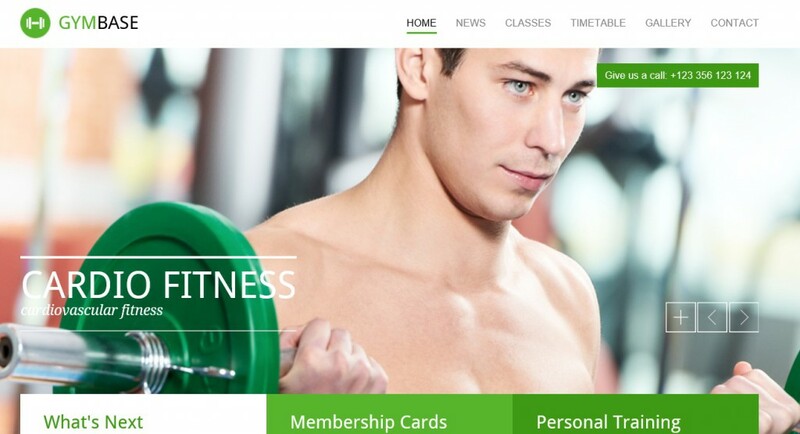 GymBase is perfect for anyone in search of a sleek new design for their fitness-based business. The simple, responsive design looks great and is compatible with mobile and tablet devices too. The theme also has the option of a blog page, portfolio (useful for displaying fitness progress) and a responsive timetable page. This is one of the best multi-purpose themes out there on WordPress – perfect for almost any business, with WooCommerce and BuddyPress capabilities, DynamiX is more than likely to suit your purpose, as well as your tastes. “Let your imagination run wild and create the site of your dreams. 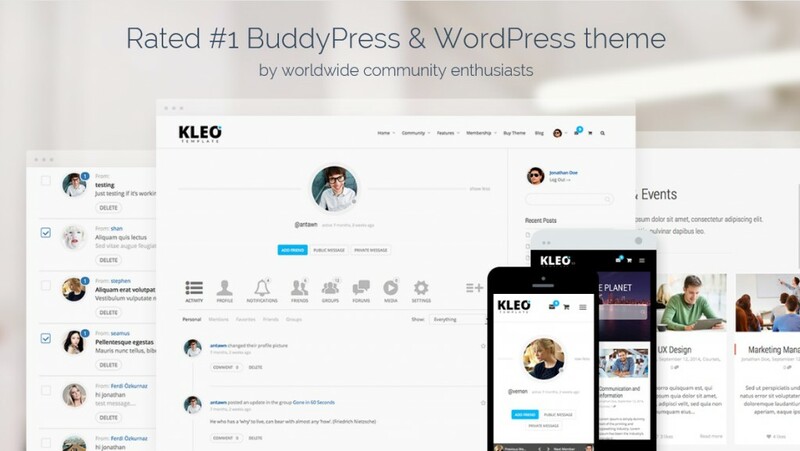 Kleo has all the tools to get you started…” Kleo’s aim is to enable anyone to create developer-level content, with stunning graphics and enhanced tools that will wow any potential client. Kickstart is a beautifully designed theme that will look great on any device or screen resolution. Offering huge amounts of personalization, with the ability to change almost any design feature countless times, it also comes with 1266 uniquely designed dual tone icons for true individuality. RT-Theme is the perfect theme for cataloguing various corporate websites. You could easily use it for displaying a product catalogue or creating a professional product portfolio. It has been used for various purposes, including tour itineraries, rent-a-car websites or real estate. BuzzBlog is completely responsive and the developers claim that this allows it to adapt both to your style and the device it’s viewed on. 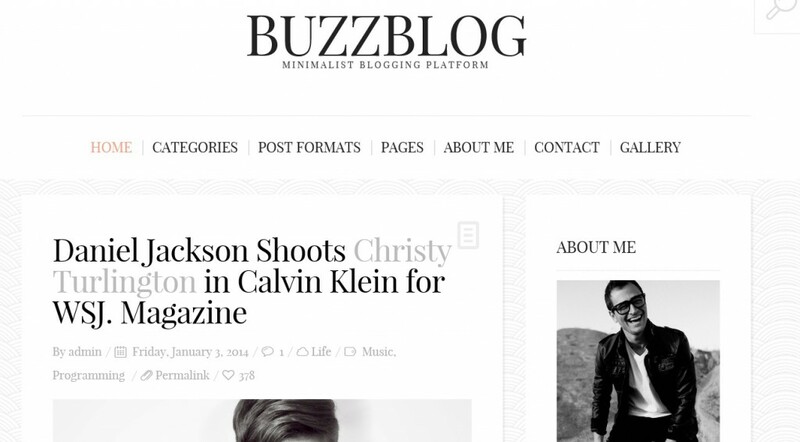 Loaded with great features, including an almost unlimited amount of customizations, BuzzBlog is worth checking out. 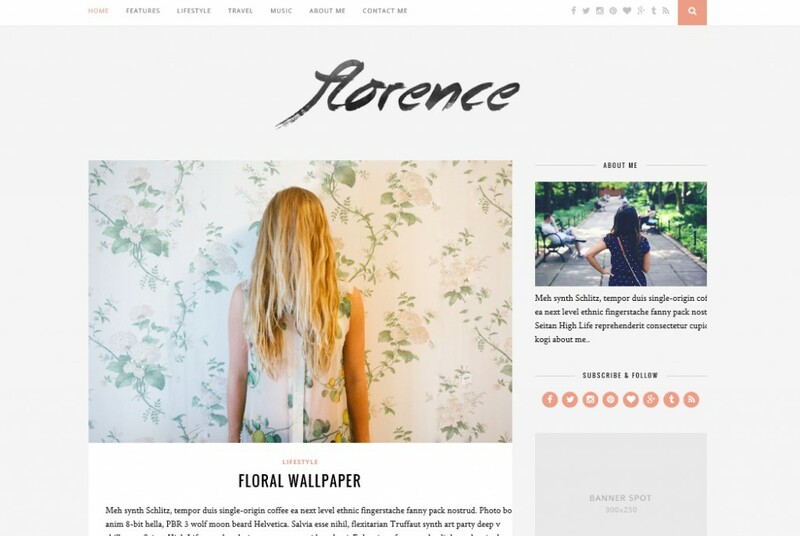 Florence is a content-enhancing blog theme, offering multi-purpose layouts, including both sidebar and full-width screen options and various post-layout options too. 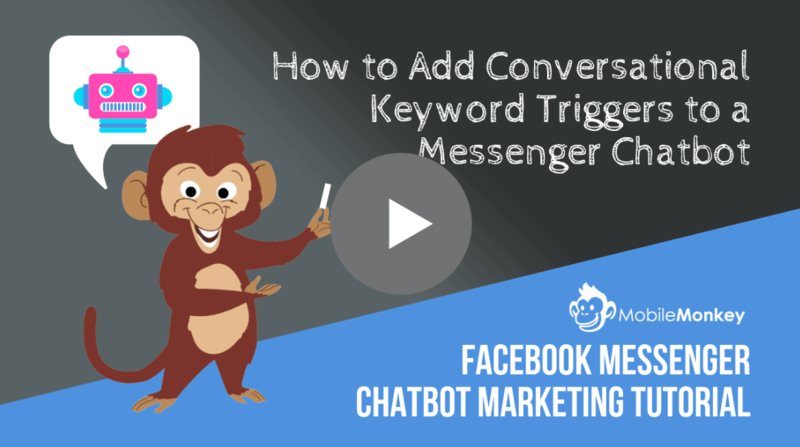 As expected from a blog theme – there are also many exciting widgets to choose from, including customizable About Me, Facebook and Social Media widgets. 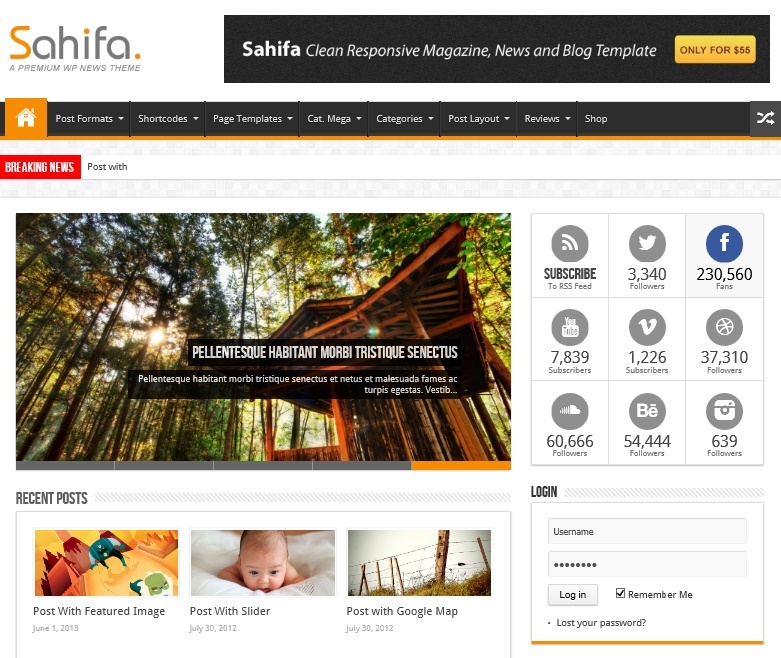 Sahifa is a sound choice for those looking for a magazine, news or blog template, as it has some brilliantly tuned features. 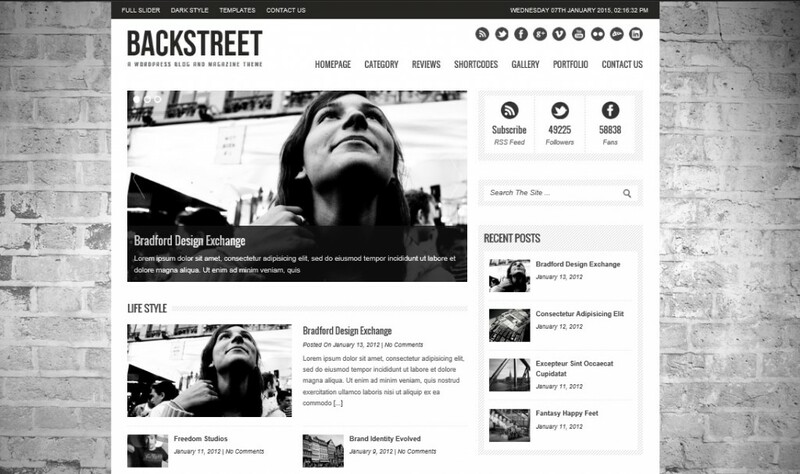 Backstreet is cool, sleek and contemporary and that is just what you want from a WordPress magazine, portfolio and blog theme. Offering video, audio and gallery post formats, Backstreet can be used across any vertical. The integrated review system is particularly clever, as are the multitude of customizable features such as light and dark skin modes as well as spotlight features. Review sort by date, title or user ratings. 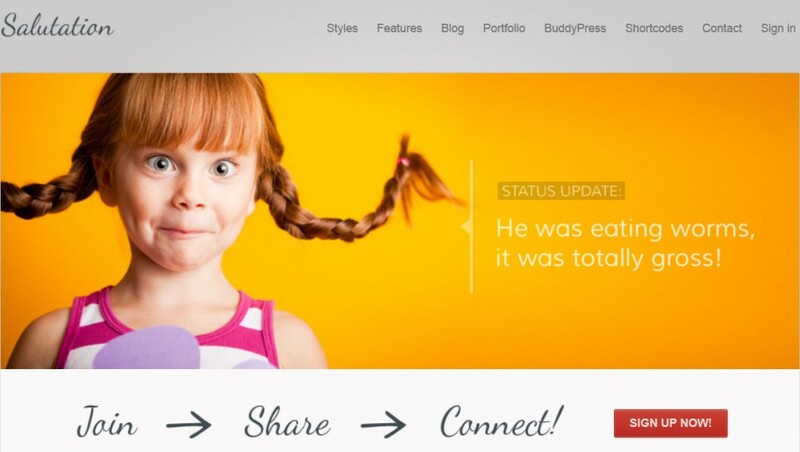 Brooklyn is a fantastic one page theme that is incredibly striking – great for any business. Brooklyn is fully responsive and retina ready and is compatible across all platforms. 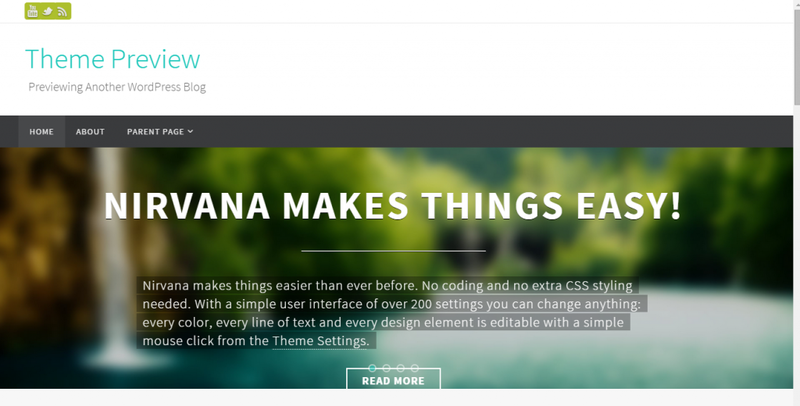 It is marketed as a stand-out theme and it definitely delivers! As a one page theme, it is great for a photography-based portfolio. Minimalism, elegance and simplicity are Kon/Cept’s buzzwords and it definitely delivers. 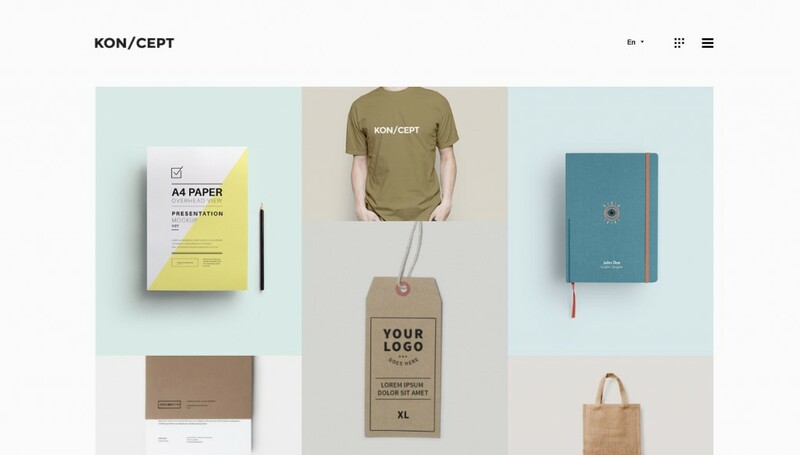 Offering a one-of-a-kind portfolio theme for WordPress, including a stunning tiled portfolio grid, Kon/Cept is packed with useful features, customizable selections, shortcodes and now offers WooCommerce support for selling items from your collection. 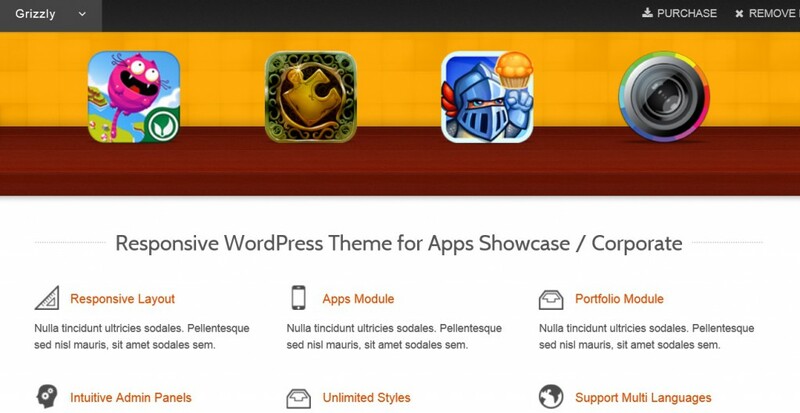 Grizzly is the perfect corporate theme for developers wishing to showcase their apps. With unlimited styles and an easily customizable platform, it is the go-to place for techies. Great easy-to-use store management system for selling both ‘simple’ and ‘variable’ products, digital downloads or affiliated/external products. The store is fully customizable and the current version has been built around feedback from existing clients. 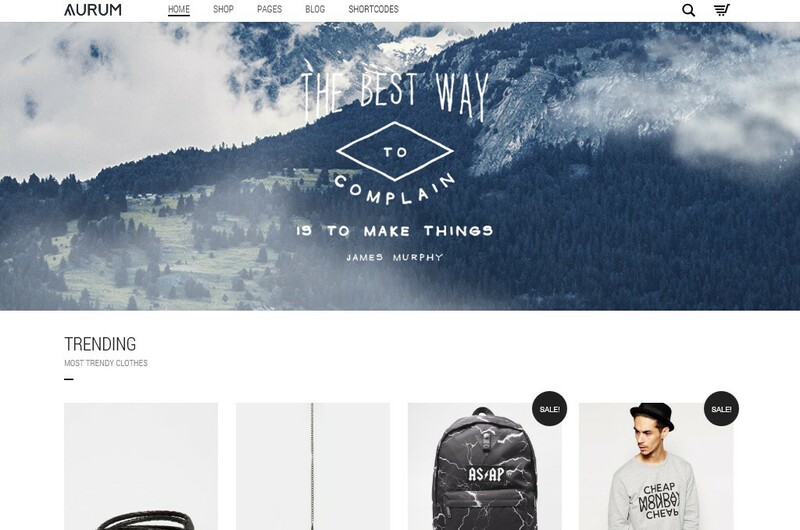 Flatsome has been designed by eCommerce people for eCommerce people, and it shows. 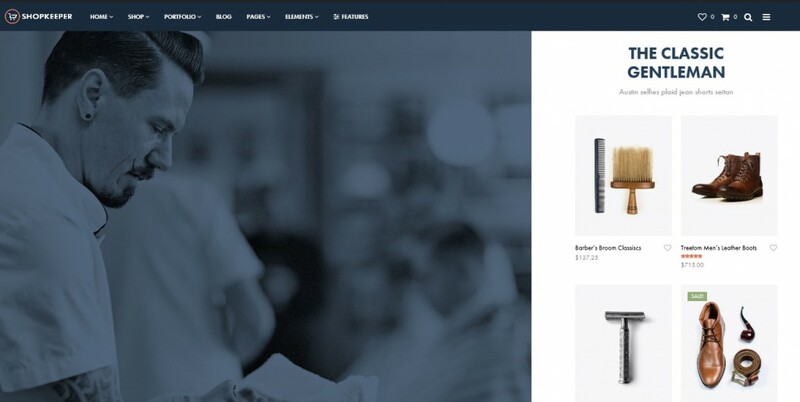 Beautiful, eye-catching store templates make it a positive contender for your new online shop. 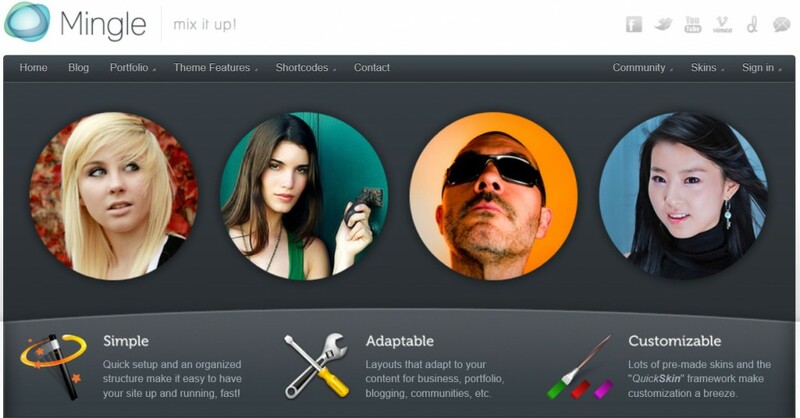 Mingle is a great WordPress theme with networking at its core. It is BuddyPress ready, so your website is geared towards social interaction with intuitive tools such as groups, forums and private messaging to maximize users’ communicative capabilities. It is hopefully pretty obvious what kind of website SweetDate was designed for, but it can actually be used across any vertical and is fully customizable to suit any business domain. Though with online-dating as its primary focus, SweetDate contains multiple tools needed to establish a good community-oriented website. 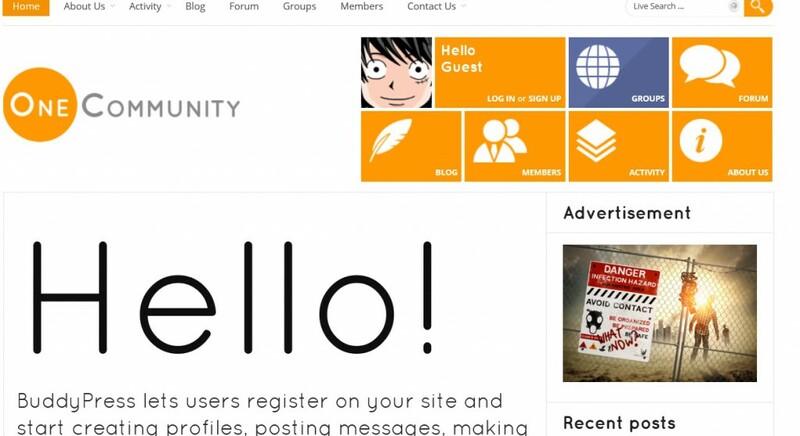 Integrated with BuddyPress, OneCommunity is another website which puts social networking to the fore. 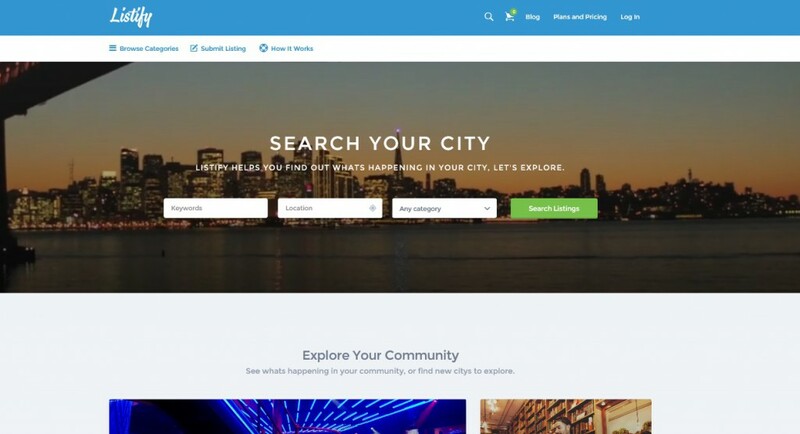 Using this theme allows you to create networks for companies, schools, sports teams or any other community. Simple, intuitive and well-organized, Salutation is easy-to-use and gives you full control over your website. Aimed at creating a comprehensive community portal, it is BuddyPress compatible and includes options for forums, groups, status updates and private messaging. One of the best directory-based themes out there, with integrated booking service plugins. It also includes Open Table, Resurva, Guestful and WooCommerce bookings. 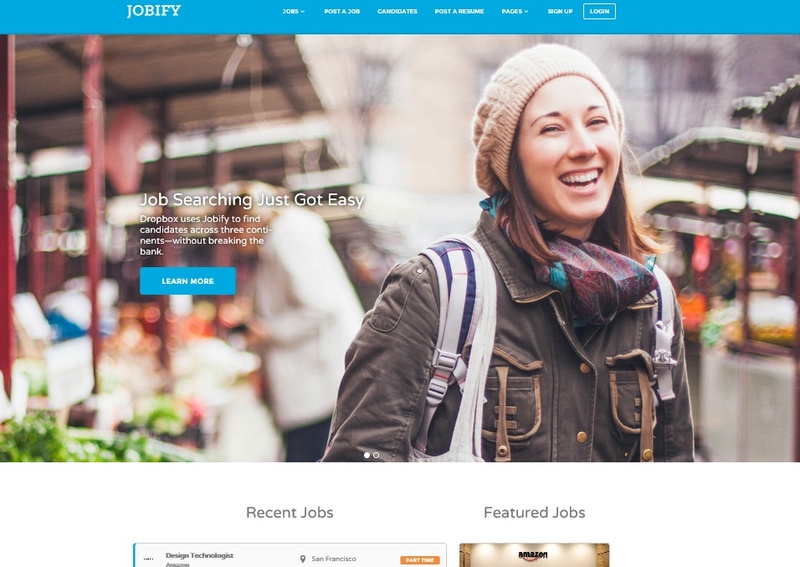 For those of you that need to produce a sleek, professional job listing website, you might just find what you’re looking for with Jobify. This easy to navigate job board theme allows you to establish a network of employers and their prospective employees. You can implement simple live searches and job filters for increased utility and can even charge a fee for your services. Another great directory theme which allows you to establish an online directory of listings across numerous niches. 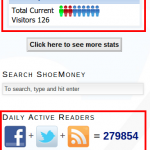 The theme comes with dedicated advertising spaces, custom search and filter options. WPLMS is a Learning Management System for WordPress which offers tools geared towards creating a successful e-learning platform. This platform includes course management, staff and student administration and a marketplace for the courses you offer. 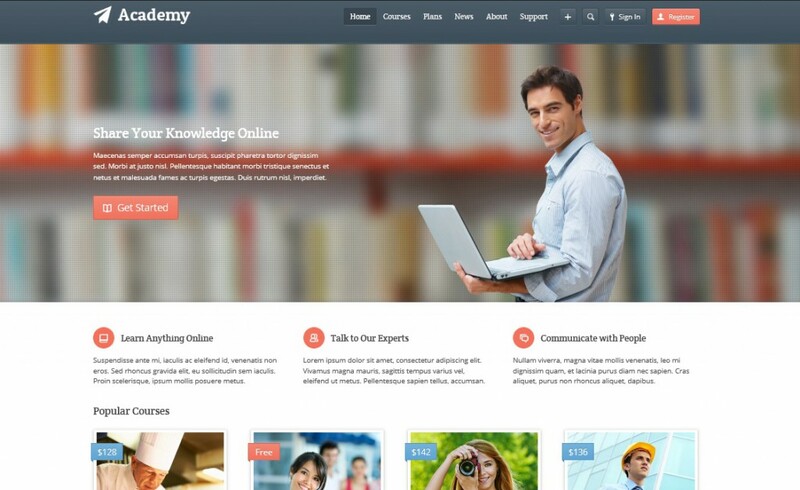 The theme package contains seven unique plugins designed with the idea of maximizing the student learning experience. Another great Leaning Management System that makes sharing and selling knowledge a relatively pain free experience. You can rock on – because Lush is here to offer you the complete musical web experience and nobody says it better than Lush. 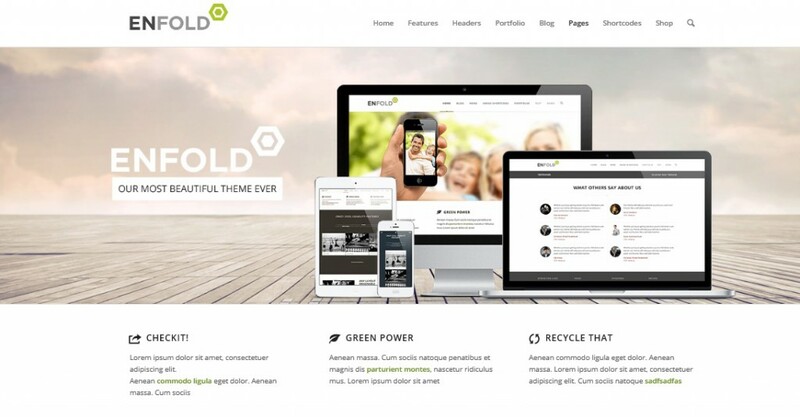 With a slick user interface, this website theme will definitely be awesome enough for your brand. 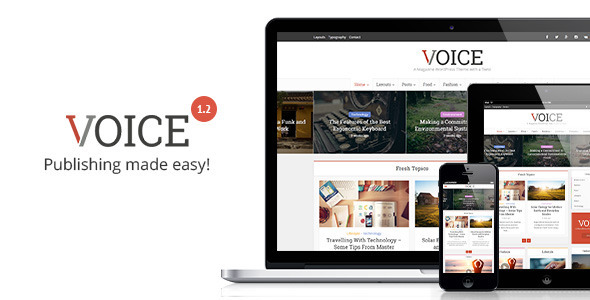 Get yourself heard with Voice, a WordPress theme created especially for the online news/magazine industries, with the ability to extend to blog-based websites. Extremely easy to personalize and some fantastic typography options included as standard. This is definitely worth checking out. 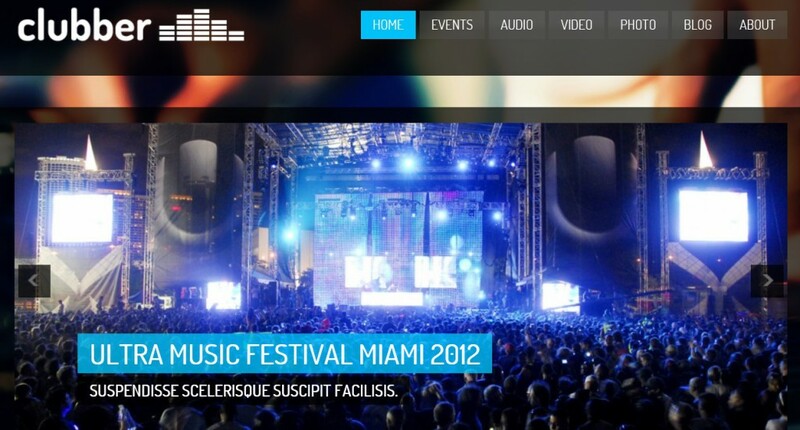 Clubber is a great theme aimed at nightclubs and other hospitality businesses, with special simple-to-use tools aimed at making events managing, sharing music and videos, even easier. For those of you planning a wedding or hoping to capture some beautiful memories of that special day, look no further. 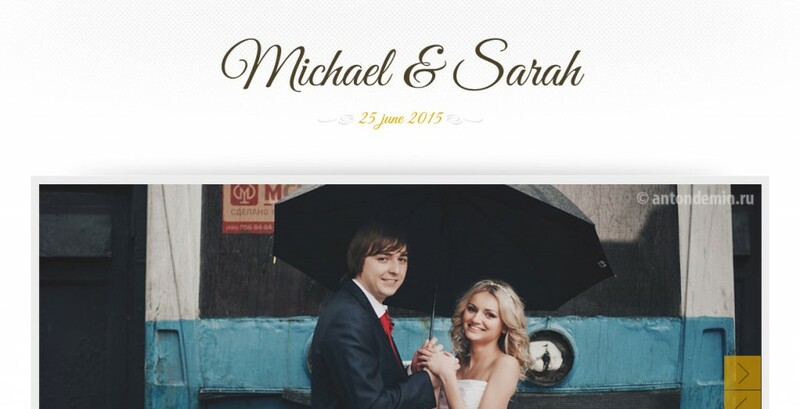 Marriage is the successor of ‘Our Wedding Page’ and it’s now even better. It has a responsive layout, mobile-compatible and with its minimalist design and simplistic color scheme your day will be remembered beautifully, forever. We like to use Warrior Forum, Blackhatworld and Wicked Fire!